Green chile sauce isn’t beautiful, but it’s awesome. You may have an abuelita in Santa Fe who makes green chile sauce better than this, but to make your own requires a delicate balance of savory onion and garlic with the sweetness and pleasant burn of roasted green chiles. A tomato adds just the right touch of acidity. Many recipes add tart tomatillos, but that’s not New Mexican. As a cameraman for an Albuquerque TV station, I traveled all around New Mexico, ate at a lot of cafés, and interviewed many cooks (and a few grandmothers) to develop this recipe. If you’re ever in Santa Fe, I recommend the huevos rancheros with red and green chile at Cafe Pasqual’s (The breakfast center of the universe). The roast beef burrito smothered with green chile at Tomasita’s looks like a hot mess, but it’s amazing. 1. Add olive oil to a sauce pan, turn heat to medium, and heat oil for 2 minutes. 2. Add onion, and saute until it turns golden (about 8 minutes). Don’t worry if it turns a little brown–it’s caramelized. 3. Stir in the garlic and turn the heat down to low. Add the tapioca or flour, and stir frequently for 4 minutes. Add the tomato, green chile, chicken stock and water, stir, and turn heat back to medium. 4. Finally, add salt, cumin, oregano and black pepper, then stir. Let it cook for about 5 minutes on medium. You’re done, that’s it. 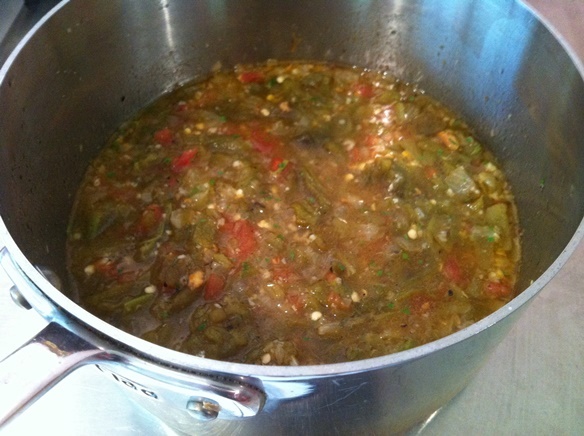 Green chile sauce stays fresh for 4 days in the fridge, or you can freeze it and reheat it with no loss of flavor. Flour is the traditional thickener for green chile sauce, but tapioca makes it look shiny and bright, and doesn’t change the taste. The chile sauce will be gluten-free. Just about every weekend we make a breakfast with bacon, fried eggs, and cheddar cheese on top of a pile of Ore-Ida hashbrowns. Then we pour hot green chile sauce over the top. It’s called a Desert Hurricane, and it’s stunning. 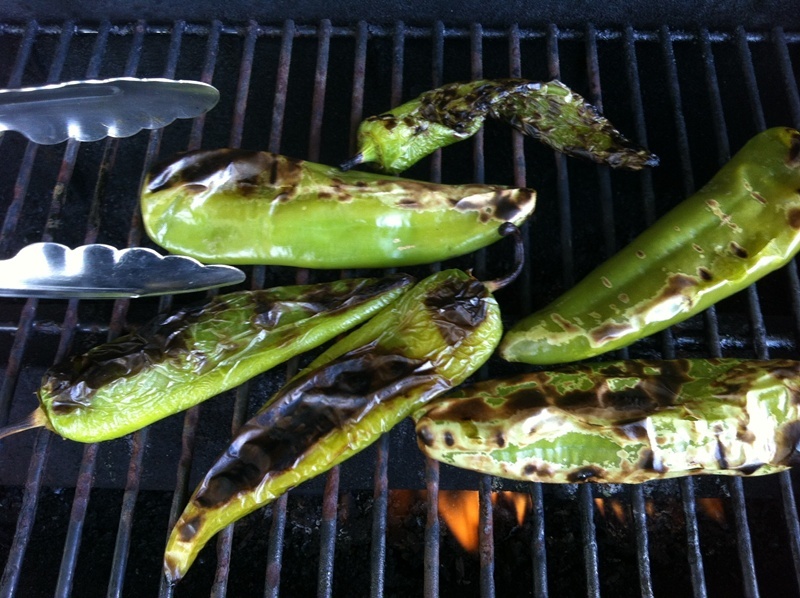 Want to know how to roast green chile? Click here. Don’t have fresh green chiles? Forget the ones in a can–the taste is off–but check the frozen aisle for Bueno Chopped Green Chile, it works great! If you want to make a Green Chile Cheeseburger, use chopped green chiles (not this sauce), onion, mustard, tomato, and pickles. Ketchup is not recommended, as the tomato already provides that taste. The preferred cheeses are Cheddar, American, or Provolone. 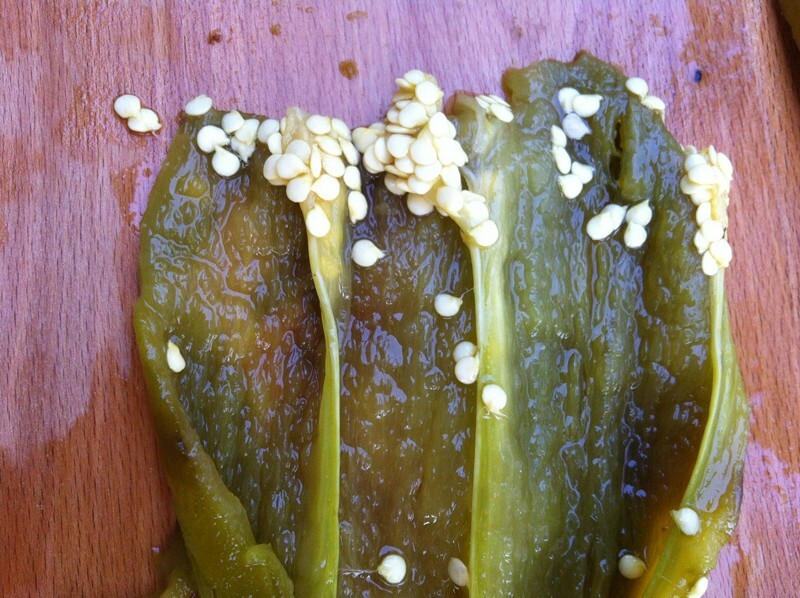 Eater.com has a superb guide to green chiles, and if you’re ever in Santa Fe, a great list of restaurants to visit. Green chile also won a USA Today/10Best.com poll as the best regional cuisine, and the site also included great restaurants to try in New Mexico. 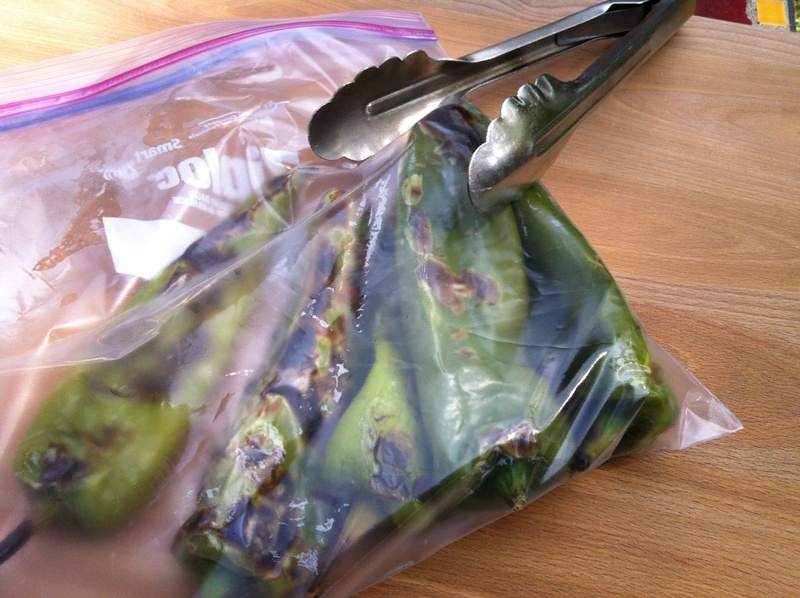 Chileheads will put green chile into just about anything. A co-worker once put out a plate of chocolate brownies with green chiles (they all got eaten). I’m not that obsessed, but there here are some tested ideas, other than green chile sauce (recipe here), burritos, enchiladas, rellenos, huevos rancheros, and other historic New Mexico dishes. Open up a whole, fresh-roast green chile, salt and pepper, lay a slice of provolone, jack, or cheddar cheese on top, roll it up and eat it while it’s warm (not hot). This sounds awful, but sauté some banana slices in butter or oil, add some chopped green chiles and heat them up, and put the mix over fried eggs on a corn tortilla. 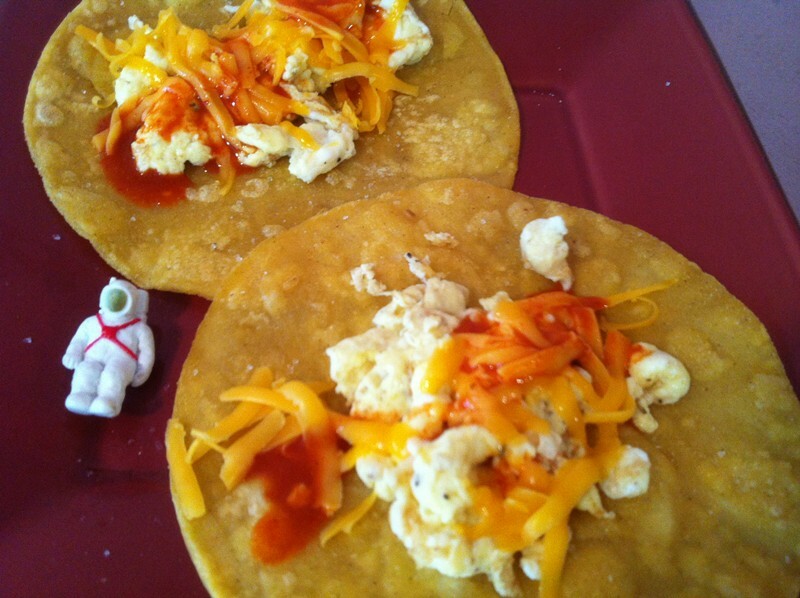 It’s a simplified version of huevos motuleños. Green chile seems like a natural to put into an Italian tomato sauce to make it spicy, but green chile is terrible in Italian food. However, dried red chile flakes are a staple in spicy Italian dishes. 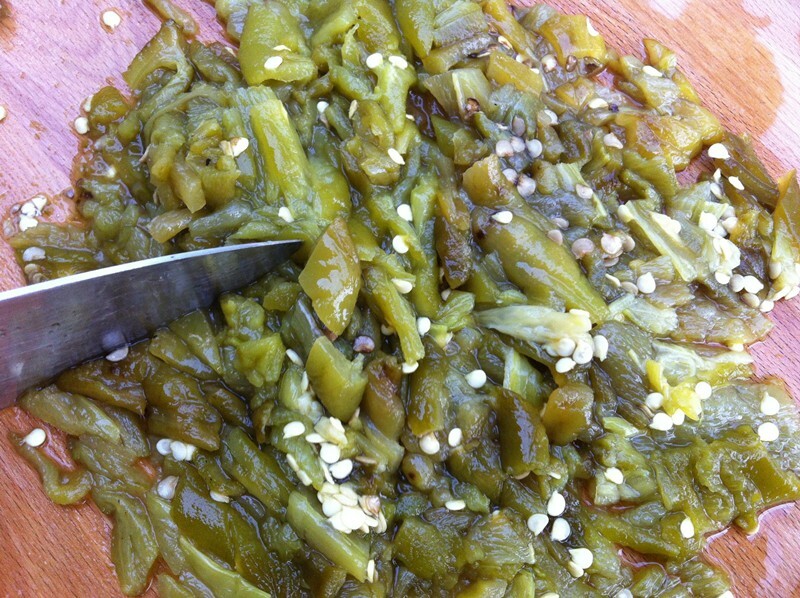 By the way, “Hatch” green chiles are just the chiles grown around Hatch, New Mexico. 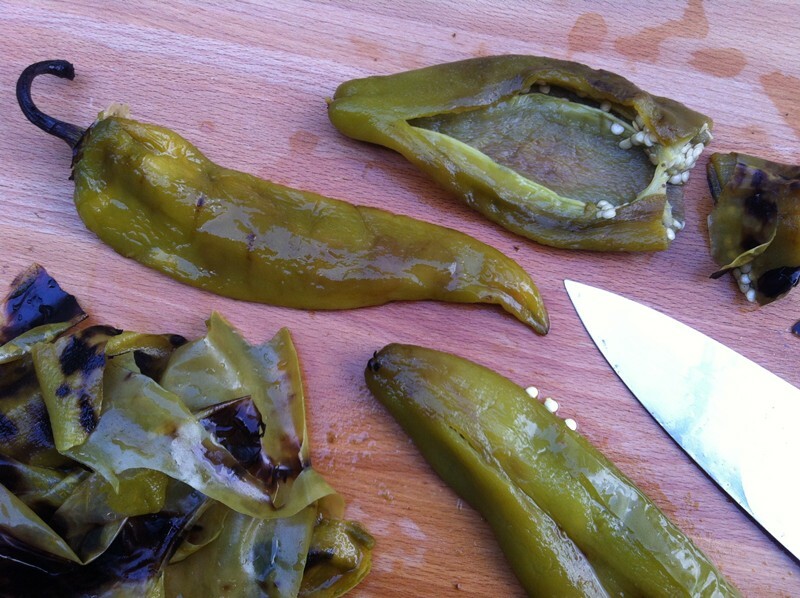 They are no better or worse than any New Mexican variety of green chiles grown anywhere else in the state, for example, Lemitar. “Hatch” is an effective marketing term.